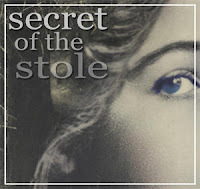 October 4 is the deadline to sign up for the Secret of the Stole - a new mystery stole I have just found in a yahoo group online. It runs from Oct 5 through Nov 23 and the creator, nauticalknitter, claims we will have a gorgeous beaded stole to wear for New Years Eve when finished - oh these mystery knit alongs are such fun! Especially when more are working on the project! So join up and come work on your stole during our "Fridays Belong to Lace" which are every Friday between 12 -5 at the Yarn and Fiber Company! We can help launch you into lace if you are a beginner lace worker, or if you are experienced, then it is just thrilling to see how fast you are able to make your needles sing! The swatch is already posted and the supplies sound wonderful - lace yarn, beads (optional but preferred), size 4 needles, and lots of wonderful yarn-overs on the way! YEAH! 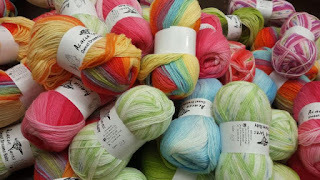 If you join, let us know if you have any questions about picking out some lace yarn... we have lots and lots of yummy lace yarns now and more are always on the way!